Punches, kicks, elbows, and knee strikes… What more could you ask for? 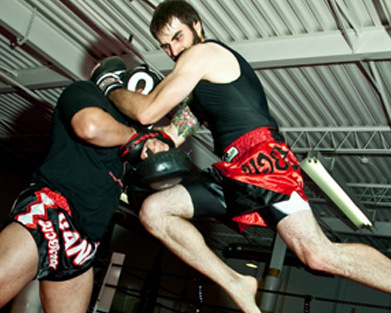 One of the most powerful - and most feared - elements of Muay Thai is speed. No matter what your opponent may do - you'll have a flawless reaction. You'll know exactly what to do - and do it - in the blink of an eye. In a fight there's no time to think things out. You need to react immediately - and you'll be able to do just that. Sound too good to be true? Try out our training for just 30 days and see if you're not already quicker than ever. I thought I was just learning a powerful martial art... but my wife can't stop talking about how good I look! So I started looking for something new. That's when I came across Arnold Muay Thai. Students who pick up on Savate-Thai Kickboxing quickly are just as valued as the ones who need to slow down, and learn at a different pace. People who do Savate-Thai Kickboxing are never the ones to start fights. They're the ones who do everything in their power to avoid fights. So no, Savate-Thai Kickboxing is not violent. Grab our amazing web-special, if you're not completely satisfied we'll refund your money. 100% of it. We’re so confident these programs will rock you to your core, fulfill your health and fitness goals, and set you up for success that we offer a FULL refund on all web offers. Period. 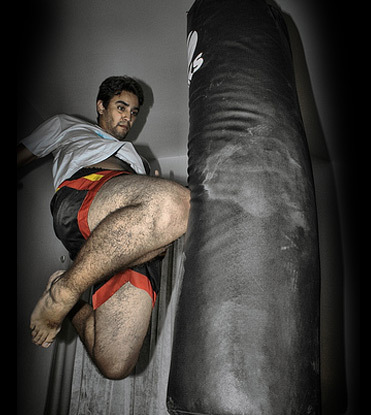 The word muay derives from the Sanskrit mavya and Thai comes from the word Tai. Muay Thai is referred to as the “Art of Eight Limbs” or the “Science Of Eight Limbs” because it makes use of punches, kicks, elbows and knee strikes, thus using eight "points of contact", as opposed to "two points" (fists) in boxing and "four points" (hands and feet) used in sport-oriented Martial Arts. 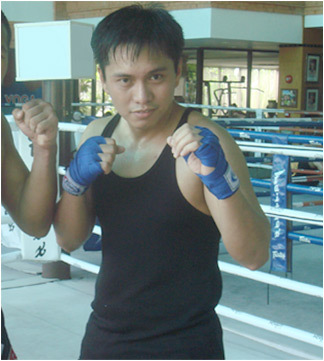 A practitioner of Muay Thai is known as a nak muay - although Western practitioners are sometimes called nak muay farang meaning foreign boxer. Competitors were typically pitted against one another with minimal rules during the early stages of of Muay Thai competition. Nowadays, there are many additional rules aimed at increasing safety for competitors and to promote main-stream acceptance of the sport.